The wire for the oil pressure switch just seems to route loose around the front of the timing belt cover on the e21 and seems really easy to damage, actually both engine looms I have are damaged here. The e30 has a plastic conduit for this wire but it doesn't fit the e21, does anyone have a reliable method of protecting this cable from damage by the water pump pullet etc? It Actually runs behind the cover, behind the rubber flap, there is a cavity where it should go. Then nice and tidy around the corner, through the plastic clamp in the hole on the corner and straight to the switch. See cable going behind the cover. This is my e30 325i but all the same with a e21 323i. I'm thinking about the M40 which has a plastic channel. 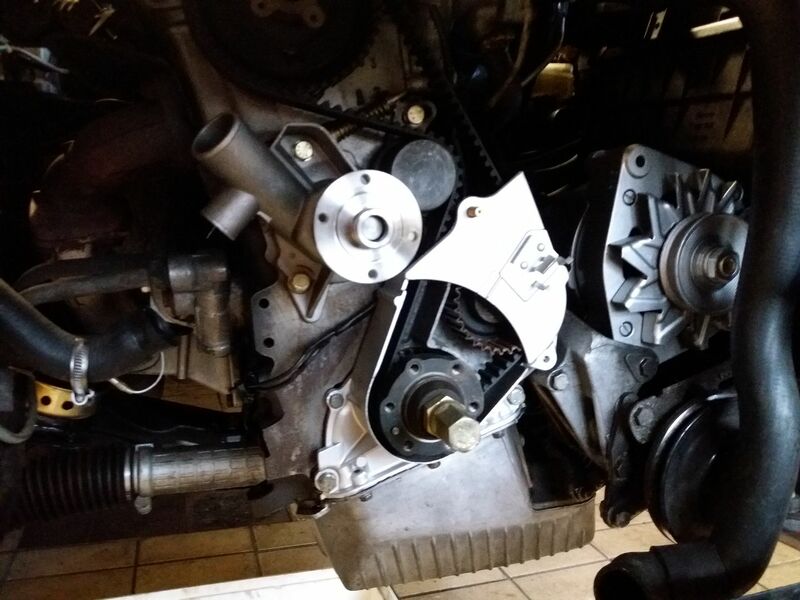 Agree, most times you see the cable being run over the timing belt cover and the M40 has a cover for the cable indeed.